Something wonderful is about to happen in Belfast, Northern Ireland. A hundred years after the Titanic set sail on her catastrophic maiden voyage a new center dedicated to the ship, her makers and passengers, will open in the city which built her. 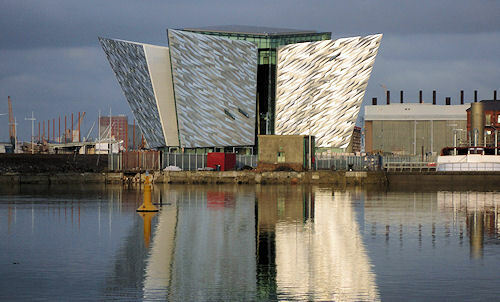 Titanic Belfast stands - magnificent and resplendent - in the very place the great ship was built. It is a structure as colossal as the ship it honors.